The life of each of the working bee can be divided into two periods: the hive when it performs work in the nest, and the flight when it is collecting nectar, pollen and water. Until recently, it was thought that the works between the individual bees in the hive period of their life are distributed strictly in accordance with their age. However, observations of a number of researchers have shown that young bees perform all the functions in the nest to care for brood, and the strict separation of their work, and especially the division into groups, does not exist. Each bee performs one of the many works in which there is a demand on the cell, where it is located. Young bees do not start working right away. Hatched from a cell bee is still weak and tentatively stand on a cell. It takes food from other bees, sometimes gets into an empty cell, and sits there for a while still. 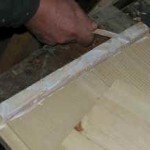 After the bee gets stronger, it is taken in the first hive work – it cleans out of the cell after the brood, polishes the walls, chews the remnants of caps, which sealed the brood. Then the bee starts to work on feeding the larvae and caring for the brood. Young bees have developed glands secreting milk for larvae and wax. These bees live with brood, trying to be in the warmest part of the nest. With the temperature in the nest 34 – 35°C (94 F) the digestive enzymes of bees are the most active, decomposing proteins and fats of pollen grains. 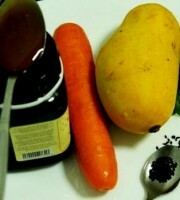 At the same temperature the glands secreting milk and wax also function better. If there are many larvae in the nest of age 1 – 2 -days, the majority of young bees feed them with milk. If a young bee reaches the cells, where the larvae of 4 – 5 days, then it starts to feed them with a mixture of honey and pollen. If a young bees comes to the cells with grown larvae, it seals the cells. The bee that comes to the empty cells near the brood, begins to clean the cells, preparing them for new eggs. Bee, close to the queen, it is involved in the suite. A young bee that gets into empty space of the nest, starts building the comb, using the accumulated wax from her wax plates. Bees are allocated more or less evenly on the brood combs, which ensures that all work is being done. 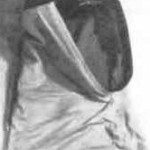 With changing of the conditions of life of bees, the state of their nests, the weather, the harvest – changing the distribution of work among the bees. 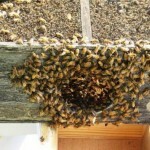 Starting from 3 – 5 days of life, the young bees make tentative and cleaning overflights. Bee comes out of the hive, takes off and circles around for a while, remembering its whereabouts. In the following days the bee flies around the hive, and is accustomed to navigate a large space. After orbiting it continues its work to care for brood. Sometimes at the same time a large number of young bees flies, especially after long rainy days. Some of the young bees protect notches. These are guard bees. 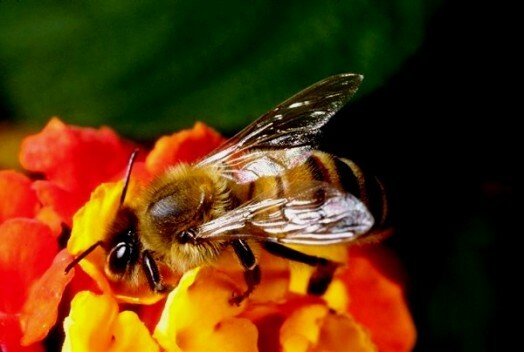 They distinguish their bees from others by their smell and behavior. Own bee flies into the hive with confidence and immediately enters the notches, with the normal load of nectar or pollen. Another’s bee flies around hive for some time, trying to find the place, poorly protected by bees, comes into the hive wary, ready to take off at any second. 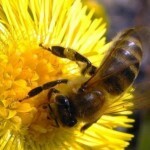 Number of bees that guard notches depends on the status of the family and environment. 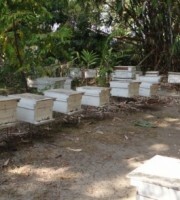 In the quiet time in the presence of a harvest, when there is no danger of enemy attack and alien bees, there is about – 1 – 2 dozen of guard bees. If there is no harvest and alien bees are flying around the hive, the number of guard bees can increase several times. 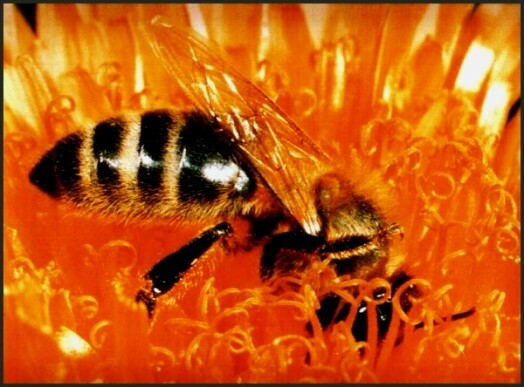 The appearance of a harvest reinforces all of the bees. They give more feed to the queen, making it to lay more eggs, increase the food supply of larvae, develop new cells, that leads to an increase in the brood, bees secrete wax and start to build honeycombs. Family works vigorously and grows rapidly during the harvest. Duration of the period of work in the hive depends on the number of bees and the rate of replenishment of the family with young bees. In the family daily appear bees that remain in the brood combs to join in the work of feeding the larvae and care for them. 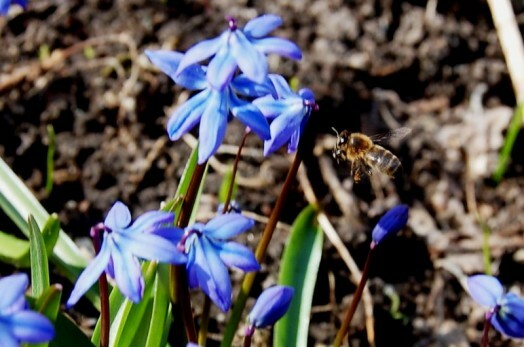 These new bees are gradually replacing the older ones, which collect nectar and pollen. Between bees in the family there is a constant exchange of food. 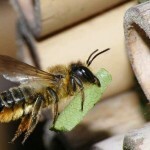 Bee, feeling the need to feed, straightens its proboscis toward others counter bees. Then it takes food from one of these bees. These “feed contacts” occur continuously during the active season, regardless of the harvest. 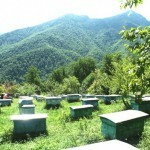 Until the fall, when the scope of work of bees is reduced and the number of food contacts decreases. The constant exchange of food allows the bees to find for themselves the right quantity of quality food quickly and anywhere in the nest. 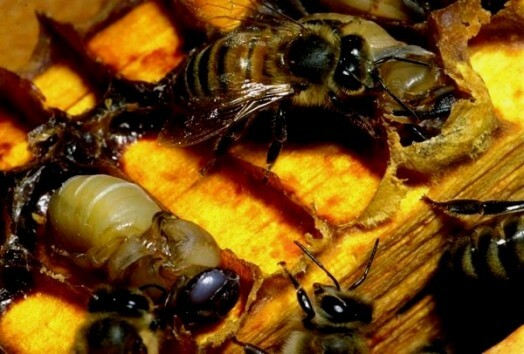 There are special relationships between the queen and the bees in the family. 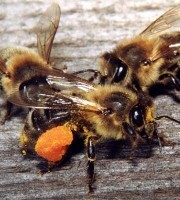 Bees lick from the body of the queen the uterine substance, which is passed to all the bees of the family. 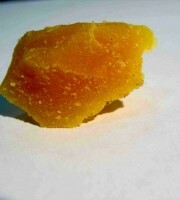 This substance is very unstable and must be constantly replenished. 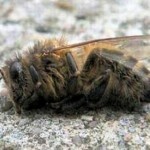 Loss of this substance makes bees to build the new queen cells. Bees and queen make special sounds that serve to guide the work of many bees, they determine the overall condition of the family. Excitation of bees, which started in one place, extends to the whole family or a large group of bees. 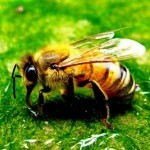 Such features of bees help them to lead a harmonious life. After reading this article I decided to keep bees. Great article!